It has taken me over a year to be able to write this. We lost our beautiful, sweet Muddy in December of 2017 at eleven years old. He contracted a rare form of bladder cancer that only develops in 3% of the total canine population. It is supposedly caused by exposure to chemicals, but we have all lived together and drunk the same water for his whole life. Just rotten luck I guess, but that does not make it hurt any less. 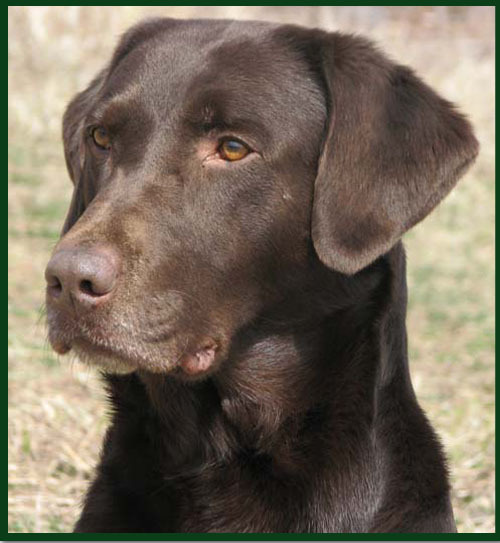 Muddy was my second "once in a lifetime" dog. The first was his grandmother, Scarlett. 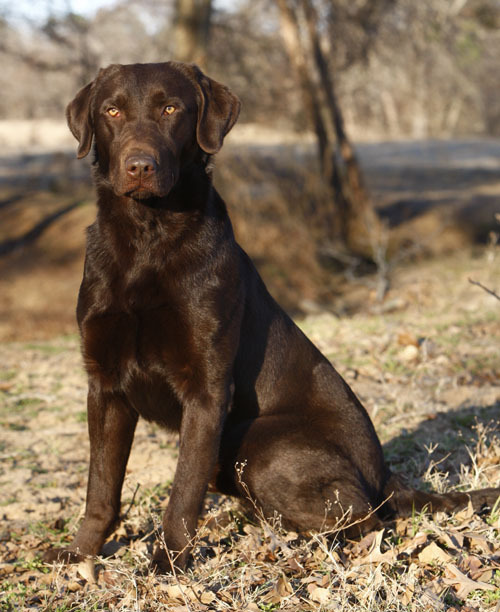 They were both the epitomy of what a Labrador should be--beautiful, sweet, smart, affectionate, wonderful retrievers, eager to please and friend to all. We see little bits of Muddy in his kids, Pitch, Fancy, John Lee and Lotto. That and all of our wonderful memories will keep Muddy with us. Muddy titled on Saturday and had a clean test on Sunday for his 6th pass. My apologies to Muddy for being out of practice as a Master level handler--we would have gotten there quicker without my "handler errors"! 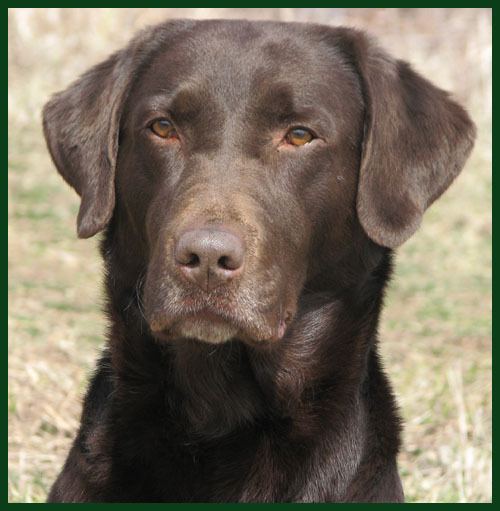 Special thanks to John and Nancy Miner, Miner's Kennel, for giving Muddy the solid foundation that has helped us succeed. 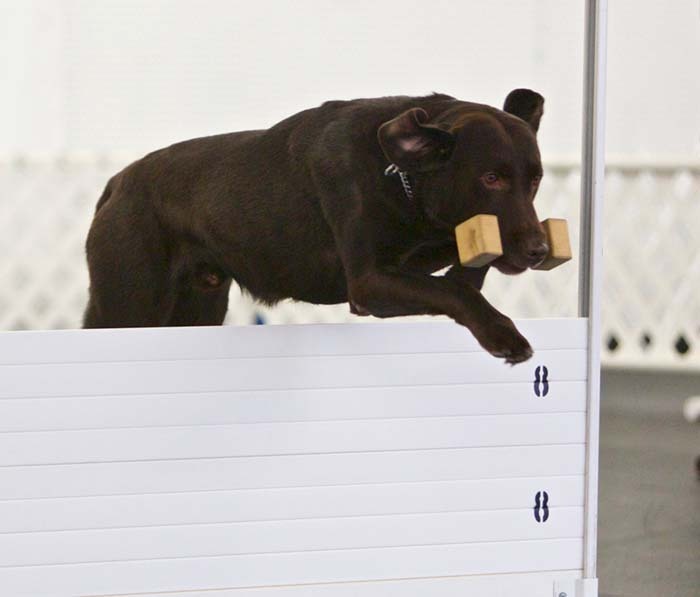 Muddy completing the high jump in a Companion Dog Excellent (CDX) competition. Special thanks to Ruth (and Ben and Nola) for helping and coaching Muddy and me to a sucessful CDX title! Here is a photo of Muddy standing perfectly stacked. You can see his lovely conformation and that gorgeous tail. February 8, 2014 Muddy finishes his CDX (Companion Dog Excellent) with two first place ribbons. His first pass in November was a second place. 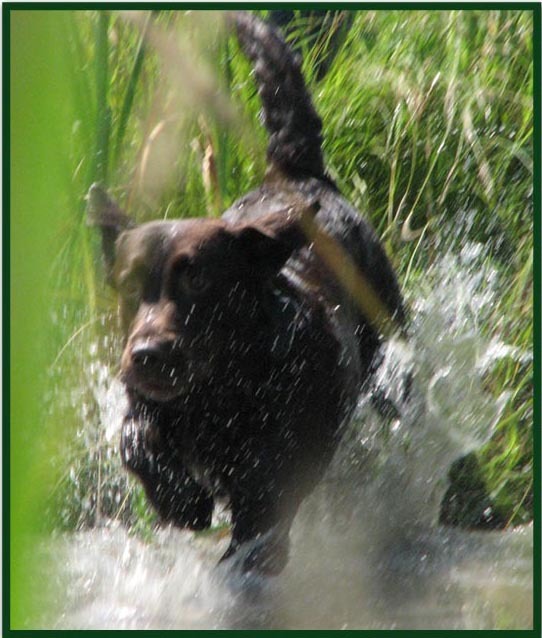 Muddy is athletic, strong, exuberant and a pleasure to train. Muddy finishing his first Senior Hunter test with a nice pass! ©1998-2016, Meredith Kuhn. All rights reserved.